TRISTANA is a 5 piece metal band from Slovakia and was founded in the late '90. Initially their style was heavy speed metal which varied migration of band members, now they alternate ultra-melodic parts with hard passages and screaming vocals. TRISTANA has found its inspiration in the Carpathian mountains, they mix this magical ambience with fantasy. Their debut album “Back to the future” was released by Leviathan Records in 2003. 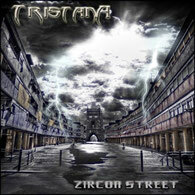 In 2010 the band started working on a second studio album “Zircon Street”, which is power metal with a slight hint of Gothic. After its release there came the greatest shuffling of members below. 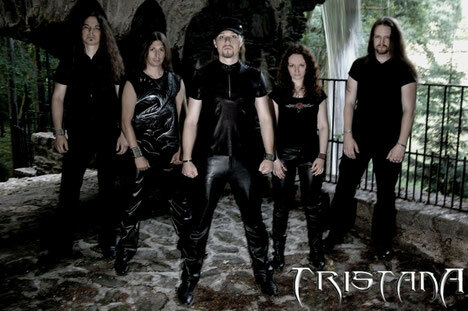 TRISTANA was hardening again to the best power metal parts blended with death metal, gothic and many modern core riffs. Stylistically, the group opted for an alternative metal sound. A change in lyrics immerged, until now themes of the universe, or fate, the new lyrics are darker, dealing with existence and death. Sometimes mythical creatures like vampires and witches come up in the lyrics, it is more about fantasy and horror. All these factors enabled the group to move forward in leaps and bounds. TRISTANA played alongside the legendary Scorpions in 2011, toured with Czech's fixed star Arakain and performed at the prestigious Masters Of Rock Festival. In April 2012 the debut video clip called "Friday 13th" was released, which became the harbinger of their upcoming third album in the making.